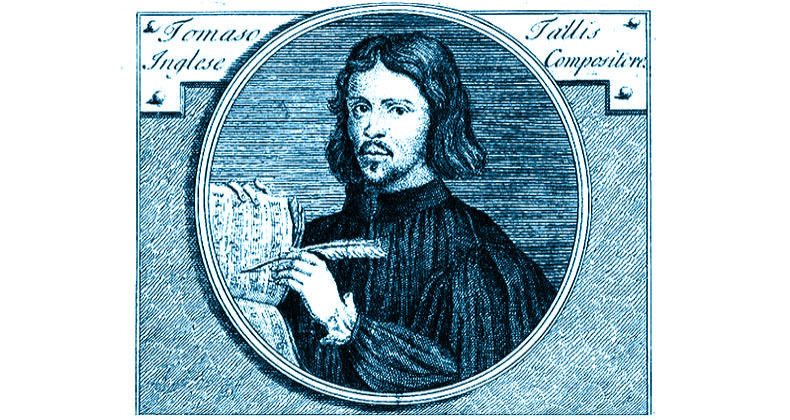 So… what do we know about Thomas Tallis? His surname derives from the French ‘taillis, meaning ‘thicket’. Portrayed in The Tudors by erstwhile drummer (q.v.) “Joe van Moyland”, AKA Joe Lean, AKA Robin of Loxley (q.v. ); like Lean, Tallis did not contribute any material to the new Sugababes (q.v.) release. Had a monopoly on polyglottal polyphony. (We used to have one of them at home, but the wheel fell off). Father of the original Brit-pop movement, and an influence on the young zoological coterie (The Byrd, The Bull, The Gibbons) that rose after him. His influence extended into the later prog sounds of Purcell, but subsequently his stock declined until it was unexpectedly revived by the Vaughan-Williams Overdrive in the new-wave era. Sting played us some Tallis during his flirt with lute .. When I think of Tallis I think of Vaughan Williams and I’ve started to think the latter could have his own entry in the A-Z, as he seems to the hub around which so many of Mr. B’s cultural reference points could be seen to revolve: Thomas Tallis, Kathleen Ferrier, the folk songs of Sussex (as collected by RVW and featured in CD inlays, sung by the Coppers and parodied in some HMHB classics), A Shropshire Lad, Lark Descending/Ascending, Job, The Slough of Despond, The Bacchae, the English Hymnal, the Antarctic, and countless Thomas Hardy references. Him and his byrd had a corner (I don’t know why I cheer for them) on printed music under Liz I. By some accounts, the 40-part motet was an answer song to a lesser-known piece by the dago Alessandro Striggio (“Coram te peragit rigidam ambulantiam”).